Ensuring that you collect data of the highest quality – reliably. Xylem Analytics Australia was established in 2008 to support the growing YSI & SonTek customer base in Australasia. As leaders in the supply of instruments to the water resources market, both YSI & SonTek realize the importance of this commitment. With our constant stream of innovative products we are connected to our Australasian customers, we want to assist in ensuring that you collect data of the highest quality and reliablilty. Xylem (XYL) is a leading global water technology provider, enabling customers to transport, treat, test and efficiently use water in public utility, residential and commercial building services, industrial and agricultural settings. The company does business in more than 150 countries through a number of market-leading product brands, and its people bring broad applications expertise with a strong focus on finding local solutions to the world's most challenging water and wastewater problems. Xylem is headquartered in Rye Brook, N.Y., with 2013 revenues of $3.8 billion and more than 12,500 employees worldwide. Xylem was named to the Dow Jones Sustainability World Index for the last two years for advancing sustainable business practices and solutions worldwide. Steve brings over 30 years experience in the Water Industry from a Product and Project perspective from throughout Australia, South East Asia and the Middle East. This knowledge base enables Steve to provide a solution that best meets our customer's requirements from a value and technical proposition. Steve is committed to providing a local support structure for instrument advice, support and servicing in order to meet our customer's expectations. He also is our go-to guru for wine selection. Since joining Xylem Analytics Australia in 2010, Lindsay has applied his extensive technical knowledge and an understanding of customer needs to deliver outstanding customer service. Prior to joining the team, Lindsay worked in the service and rental industry serving environmental customers. Since childhood, he has always had to an uncontrollable need to pull things apart and find out how they (used to) work - fortunately, all that has changed is that now he can put them back together again. Since completing his Bachelor of Environmental Science, David has gained experience in water sampling, field repairs and maintenance of air monitoring equipment. 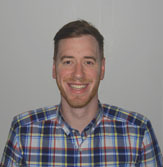 Joining the Analytics team in 2014, David is an integral team member in our Service Centre. He has responsibilities for instrumentation repairs & calibrations across the Analytics brands and is the bright spark on the end of the telephone offering solid technical support. When not at the bench, David can be found sketching, tinkering and attending live music gigs.